What’s chic, keeps you cool and is the “thing to wear?” Literally, a kimono jacket. Mind blown. The Japanese translation is ki or ‘wearing’ & mono or ‘thing.’ Here’s how our Stylists are wearing this less-structured sibling of the traditional Japanese garment all season. Switch things up! Instead of reaching for your trusty cardigan, try a kimono. Need a pop of color? Layer on a printed kimono, when your outfit needs that extra oomph. Wear a kimono as that “just in case” layer. Not sure if it’s going to be chilly at the movies tonight, or the office tomorrow? Bring a kimono! Keep reading to see how to add the kimono to your summer looks! A kimono’s the perfect layer since it won’t weigh you down. While the sun’s still out to play, take your shorts and tan-fit to the next level with a bright and breezy kimono as a layering piece. 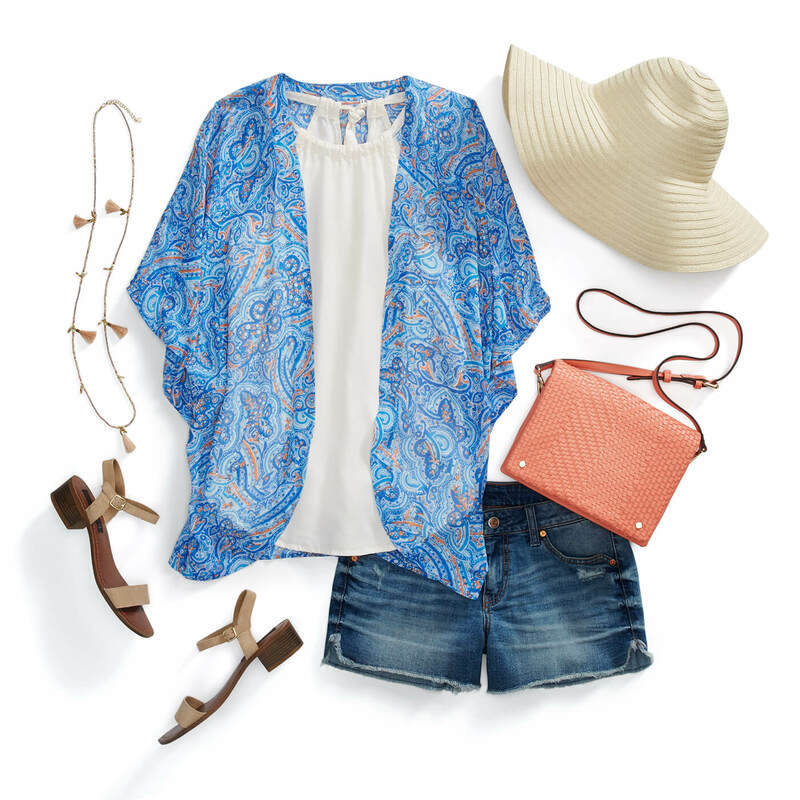 The addition of a paisley or floral-printed kimono brings a boho touch to your ensemble. Stylist Tip: “If you’re shy about showing off your arms, a slightly sheer kimono is the perfect item to wear over a tank top but lightweight enough for a hot afternoon.”—Baylee G.
Transition a casual LBD from day to night. Add a romantic, floral kimono paired with strappy wedges or heels. Then, play with proportions by layering on a duster-length kimono over an above-the-knee dress. Stylist Tip: “I wore a kimono as an added layer to up my style game when I was pregnant. Plus, kimonos can be worn before, during and after a pregnancy!”—Erika L.
Spruce up your go-to jeans and tee with a kimono. If you love your casual basics, try layering an embroidered kimono to add more depth and texture to your most reliable outfit. Stylist Tip: “Kimonos are a great layering alternative if you usually usually rely on an unbuttoned chambray shirt as a cover-up.”—Sheri F.
Ready to get your kimono on? 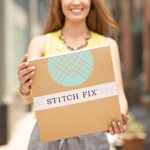 Tell your Stylist before your next Fix!